How cool is this? 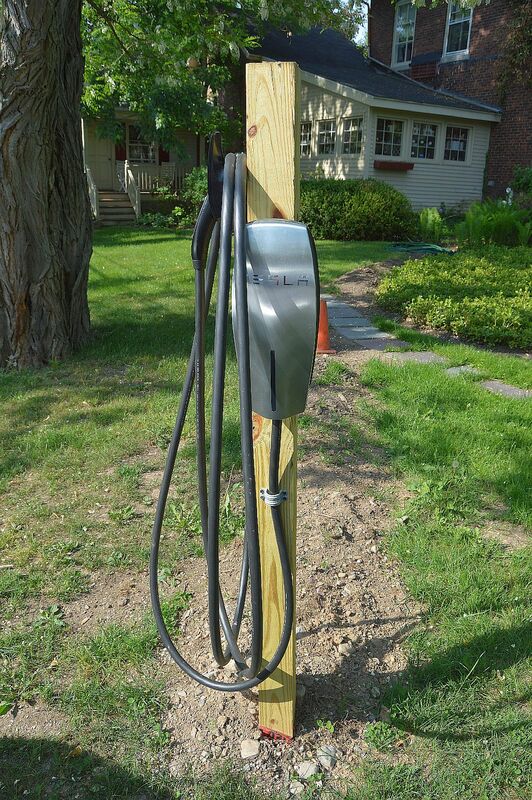 There is a new Tesla car-charging station outside of the Asa-Ranson House (10529 Main Street) in Clarence Hollow. The sleek, contemporary designed car charger is an interesting and neat juxtaposition against the house that was built in 1853. It may seem like a small thing, but the electric charger will favorably position the Asa Ransom House with future guests. Many travelers these days are eco-conscious and make decisions based on an hotel or inn’s “green” features. 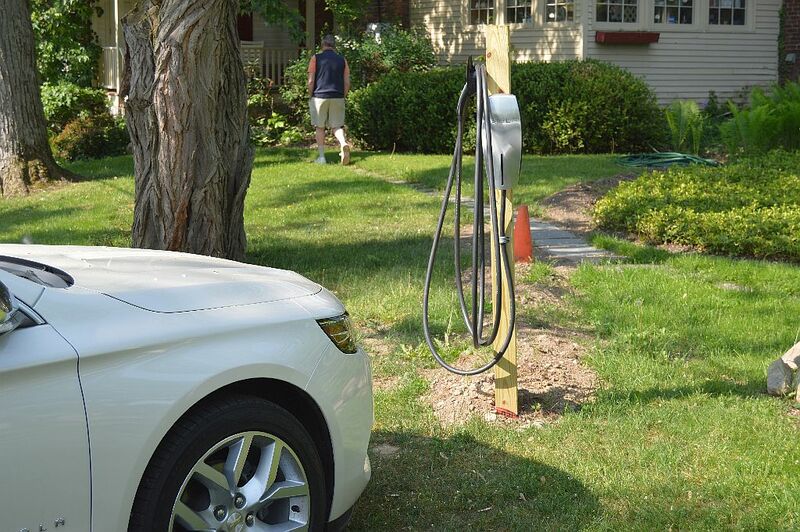 A car-recharging station is very important to the savvy visitor and may be the one item that makes someone book at the Asa Ransom House compared to another place. The electric car market continues to grow at a steady pace. In 2014, 119,000 electric cars were sold in the United States, a 23 percent increase from the prior year. It’s estimated that a person can cover 58 miles with one-hour of charge. Is the charger open to guests only?